Wesleyan University fraternities: College mandates fraternities accept women. Fraternities at Wesleyan are becoming coed. Will it help cut down on sexual assault? The Mu Epsilon Chapter of Beta Theta Pi at Wesleyan University sits off-campus. All on-campus fraternities at Wesleyan University must soon become coeducational or they will be shut down, the university announced Monday, giving its small but often under-fire Greek system a three-year deadline to open its doors to female students. Another Wesleyan fraternity, Psi Upsilon, is also facing a lawsuit over an alleged sexual assault. Along with Delta Kappa Epsilon, Psi Upsilon is one of two officially recognized, on-campus fraternities at Wesleyan, a university where just 4 percent of the student body belongs to a Greek organization. Fewer than 100 students live in those two houses. There is only one sorority, and it is located off-campus. Student and faculty proponents of either closing the fraternities or making them admit women have said that their influence on campus culture is far greater than their share of the student body. While Carlisle would not confirm that the policy change was an attempt at curbing sexual assault specifically, she did say that it was designed to “increase gender equity on campus.” For the Wesleyan Student Assembly, however, sexual assault prevention was the key reason it pushed for the integration last year. Wesleyan is not the only Connecticut college to ban all-male fraternities in recent years. In 2012, Trinity College required all of its Greek houses on campus to go coed, prompting more than 4,000 people to sign a Change.org petition protesting the decision. Critics argued that, as many national organizations do not officially recognize coed chapters, Trinity was effectively banning fraternities and sororities altogether. Similar concerns have surrounded Wesleyan’s decision. 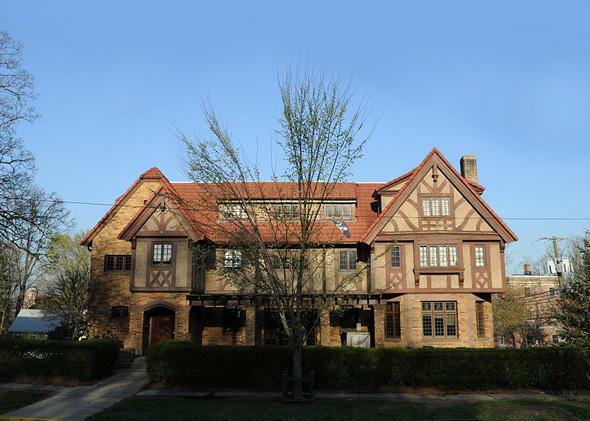 Thomas Fox, Psi Upsilon national executive director, said that the national organization will still recognize its Wesleyan chapter, but that he doesn’t believe making a fraternity coed will do much to change student behavior. John Foubert, president of sexual assault prevention program One in Four, was recently hired by a consortium of Delta Kappa Epsilon alumni to start a campus chapter of his program at Wesleyan. Foubert said he “would be interested to see” how coeducation could change a fraternity’s culture, but that it’s a difficult transition to accurately observe. Attempting to radically alter an existing fraternity can sometimes lead the organization to go off-campus, he said, creating an underground fraternity over which the university has no jurisdiction, much like Beta Theta Pi. “Generally speaking, I think it is best to work with student organizations in their existing structure, rather than mandating modifications,” Foubert said. The Wesleyan Student Assembly’s new president, Grant Tanenbaum, said that integration represents a compromise, and that opening fraternities to female members is just one step in an ongoing effort to prevent sexual assault on Wesleyan’s campus.